For the last few years Rapha (of over-expensive MAMIL clothing fame, as commented on previously) set a challenge for riders to complete 500km between Christmas Eve and the Midnight of New Year’s Eve. The challenge is made difficult by it being a decent distance to ride in the first place, but also the commitments of the holiday season as well as having the winter weather to contend with. Obviously those taking on the challenge in the Southern hemisphere don’t have the weather issue, but frankly that’s cheating. The 500km target works out at 312.5miles and is an average of 39 miles per day for 8 days. My aim was to do the daily average and slowly accumulate towards the target. 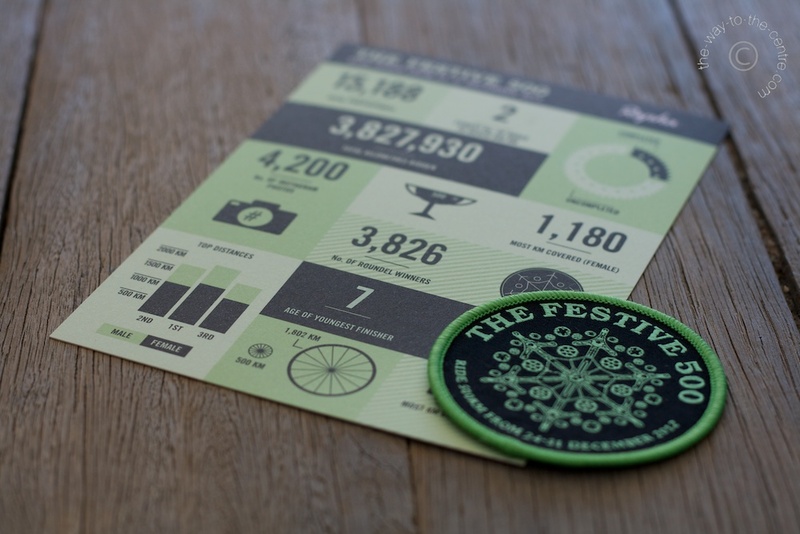 On achieving the target, successful riders are given a small woven badge, it’s nice to get something tangible no matter how small! Christmas Eve was spent doing a quick blast round the Warwickshire lanes, heading home from Birmingham meant that the light was fading quickly and I had to finish…already behind schedule, not the best start! Two rides on Christmas Day, one snuck in before the big dinner of a similar length to the day before and one much later in the pitch-black at about 10pm. Back on task. 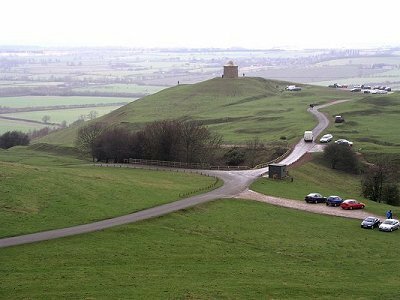 Boxing Day was a chance to head up to Burton Dassett, a collection of lumpy bumpy hills with their signature sail-less windmill on top. I’d not ridden up them since a sportive in very late 2013 so it was good to go back on the Festive 500. Up to Lancaster! Lots of smallish rides between homes and train stations followed by a longer ride around the hills of the Forest of Bowland. Couple of PBs but mainly a take it easy ride with some decent climbs. This was supposed to be a day with a long ride down south towards Blackpool, lots of flat roads to ride along at a decent speed ticking off the miles. Unfortunately, Helen found the ice and came off – the worst bit being the van who having seen her fall off, just drove off without even slowing. Having to abandon plans, we took it easy coming back along the main road back into Lancaster. Heading home from Lancaster! My rear wheel bearings were making a huge racket and despite a clean and re-grease attempt back in Birmingham they still weren’t too happy. I made it back home, sticking in the main roads for the most part and making sure I didn’t succumb to the ice. Nice gentle ride back instead of catching the train. Knowing I was behind schedule, today had to be the make-up day. 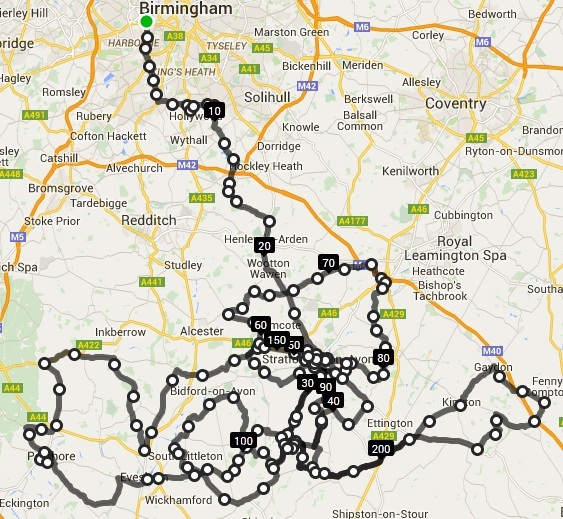 A decent 100km ride around Worcestershire on for the most part, new roads. I’ve never really cycled West of Evesham on my own and I’m not overly sure why as there were some good roads to use. Going against conventional wisdom, I had the deep aero rear wheel out for this ride as its bearings weren’t dying. The last ride was to be a circuit of the usual Stratford Saturday club ride route, minus the Shelfield part which is always wet or mucky. The mileage worked out pretty much perfectly. Being close to success, I whizzed round the course at a 19mph average and saw lots of cyclists….as usual nearly all of them were going the opposite way to me, not sure how I manage that all the time. I was only rained on once, on Boxing Day, there was snow and ice around but I managed to avoid it and for some of the days it was almost double figures temperature wise. I couldn’t ask for much better weather for the whole week of the Festive 500. I’m looking forward to receiving my reward in the post! It seems having a plan definitely helps, I know I certainly wouldn’t have gone out so much without the challenge to aim for so I guess it has worked. Previous years there’s always been a reason not to go out. Congrats on completing too, it’s nice to actually receive something for a Strava challenge for once without it being the chance to buy expensive jerseys!